Mother's Day is coming, order hankies today! 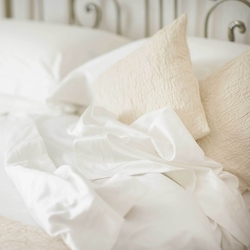 For over 100 years, we have provided fine linens to discriminating consumers worldwide. We travel the globe to bring you the best quality linens available today. Many of our stunning hand embroideries are made on the Island of Madeira. We carry the most exquisite lace handkerchiefs available from Switzerland and Germany. Our blankets are produced by a leading UK manufacturer that has been making top quality blankets for over 200 years. You can see our line of Exotic Fiber throws, blankets, mattress pads and quilts, made in France by Brun De Vian-Tiran. The highest quality 100% combed Egyptian Cotton is used in making our English bedding line. Damask Linen Table Top in Custom sizes, Poli-Dri kitchen towels and Linen Terry Bath Towels from Ireland are perennial favorites. Our Chantilly Lace table top collection of easy care lace place mats, runner, napkins and tablecloths are our latest addition to the collection.